The Marie Cary Agency, a family managed insurance firm with offices serving Gallatin County and the southern Montana region, is carrying forward a charity drive started earlier this year in cooperation with the Gallatin County Land Trust. The goal of the charity effort is to raise funds that will be used to preserve headwaters and farmlands in the area. 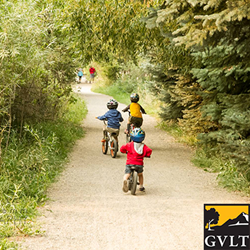 Gallatin County Land Trust remains committed to safeguarding both working ranches and farms in the region, as well as protecting natural wildlife habitats. The two agencies are also continuing to work toward creating trails that run close to the Missouri and Yellowstone rivers. “We’re close to our funding goals, but we still have a great deal that needs to be done to protect local farms and wildlife habitats, so we need help from everyone in our community,” stated Marie Gary, owner and manager of the Marie Gary Agency. To reach like-minded families and business owners throughout southern Montana, Gary and her team have established a social media presence and initiated an email bulletin to generate buzz for the charity effort. The team will soon be producing a second full page feature article for the firm’s online magazine, “Our Hometown,” that will provide community members with up to date information on the project: http://mariegaryagency.com/Our-Hometown-Magazine_39. Going forward, the Marie Gary Agency has launched a permanent community involvement program and plans to find another new local charitable cause to support every 60 days. For those who want to connect with the Marie Gary Agency and make a contribution to the Gallatin County Land Trust charity effort, the following page has been made available: http://mariegaryagency.com/Preserving-Montana’s-Local-Farms_14_community_cause. For those who want to know more about future charitable efforts supported by the Marie Gary Agency, the company’s Community Cause list can be bookmarked from this page: http://mariegaryagency.com/community-cause. Agency owner Marie Gary knows many local families. Her knowledge and understanding of the people in her community helps Marie and her team provide her customers with an outstanding level of service. The Marie Gary team looks forward to helping clients protect the things which are most important to them - family, home, car and more. The Marie Gary Agency can also help clients prepare a strategy to achieve their financial goals. To contact a caring expert at the Marie Gary Agency, please visit http://www.mariegaryagency.com/ or call 406-586-3330.